I received this email this morning that I would like to share with you thinking that there may be one among you or among your family or friends who has a place for these horses. Please help me spread the word. In the past 18 months we have found homes for almost 100 horses. But with slaughter being legalized I have to really vet where the horses are going. So I thought I would start networking out with like minded people. The two horses I spoke about are: Maestro and Fourth Tenor. (I renamed them) Their registered names are “A Little Dash” and “Foster’s Dash.” Registry numbers are below. Maestro is approx. 8 years old, 16.2 hands, impeccable manners. Bright chestnut color. 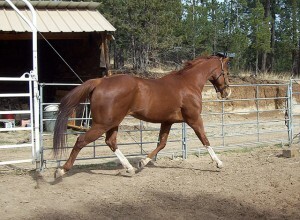 He’s appendix QH, Dash For Cash bred. He was a high money earner and didn’t stop racing until 18-24 months ago. Was used as a pony horse for a year after that – then came to me. No problems. No vices, loads of athletic potential, but he’s a real poor keeper unless he’s got adequate feed. This is a horse who needs individual attention, alfalfa and 2 proper meals a day to maintain weight. Where he goes is more important than anything else.. But he’s free to a good home on a permanent adoption agreement. He’s not a young horse, but he is a very stable horse so re-training wouldn’t be that difficult. He’s just a real sweet boy. I really like this horse a whole bunch and he needs to be used. He’s Appendix AQHA# is X061606089. His tattoo is 4747W. Fourth Tenor isn’t as tall as Maestro, but he’s a fair size. Perhaps 15.3-16 hands. 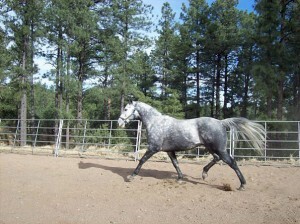 He’s a lot different “type” of horse, a lot more bone and not quite the stride. I didn’t realize that he was so much younger until I looked at the papers an hour ago. Maestro is a 10 year old. I thought he was 7 or 8. Fourth Tenor is a 5 yr old. I thought he was 7 or 8 also. Everyone falls in love with Fourth Tenor. His dappled grey color is beautiful. But he’s one of those characters that just follows you around like a puppy dog. A real “family” horse. But I’m just not too sure about him for a youth. And his front legs are not as clean as I would like them to be… No bows, ring bone, no splints.. But he just stands a fraction over on those knees. Again, I would only let them go on an adoption agreement.. Which simply means that I don’t want them sold and resold and risk them heading to slaughter or worse. If you are interested in either or both of these horses or you have any questions, please contact Denise. Sorry, I guess she has changed her email address. No idea how to reach her. Where are these horses located. Would very much like to have both of them. 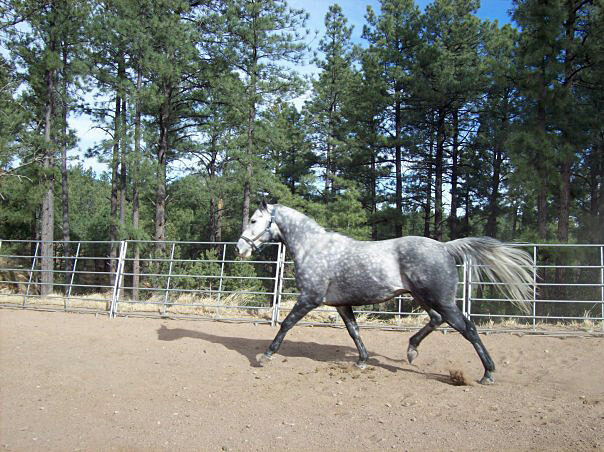 My husband and Have not had horses in quite a few years and would like to aquire 2 for us to work with. Also have grand children that love horse. Please email me if these two horses are still available. I believe these horses have been re-homed. There is a link in the post to contact the owner, if you would like. Where are these horses located? Have you tried contacting the Gentle Barn in Santa Clarita. I volunteer there and it’s a beautiful organization that keeps abandoned animals forever. If you haven’t already, you may want to contact them and speak to the owners and/or Darshan. Thank you much. I will deliver the message to Denise. Rescues -- the faces of some of the rescues who have shared my life. Did we help you? Would you like to make a donation to our cats and dogs? Click the donate button. Your help is appreciated. How long does it take for a car to get HOT? Can Your Dog Safely Eat These Fruits? Beingstray contains opinions and is not intended to diagnose, treat or give medical guidance. Consult your veterinarian. The information contained on this site is for information purposes only, and may not apply to your situation. The author, beingstray, distributor and/or provider provide no warranty about the content or accuracy of content enclosed. Information provided is subjective.